If your attorney behaves in a way that causes you harm, you may have grounds for a legal malpractice lawsuit. Not every mistake an attorney makes can be attributed to malpractice, but negligent actions that fall below the standard of care, or that breach a fiduciary duty may constitute legal malpractice. Legal malpractice is defined as any behavior which falls below the standard of care that is applicable to the offending attorney. Located in Honolulu, Hawai’i, the Law Office of Dennis W. Potts provides legal counsel in legal malpractice cases. If you have a question about an ongoing case with another attorney or feel your case has not been appropriately handled, call for a free case evaluation. Sometimes a simple, confidential conversation can provide the information you need to move forward with a case against the offending attorney. Failure to know or apply the appropriate law. This is the most common grievance brought against attorneys today, and it occurs when attorneys provide erroneous counsel on a case, whereas another attorney would have clearly known the applicable law. Planning error. This error occurs when an attorney fails to consider all foreseeable outcomes of a case, which in turn causes harm to the client. Inadequate discovery or investigation. The discovery and investigation phase of a case is integral to a successful outcome. If an attorney fails to follow a reasonable lead or otherwise does not discover all the important details of a case, he or she may have committed legal malpractice. Failure to file documents. Many legal cases involve filing appropriate paperwork in a timely manner. If an attorney prevents a client from taking legal action by not filing paperwork, he or she is not acting with a reasonable duty of care. It is also considered a breach of trust. Failure to calendar. Failure to calendar happens when an attorney misses a required deadline, which may affect a client’s ability to take legal action. 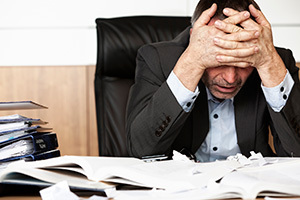 Other common errors for which clients can take their attorneys to court include failure undue procrastination, conflicts of interest, fraud, and failure to obtain client consent. An attorney-client relationship existed between you and the lawyer in question. There was a negligent breach of duty during the course of representation. If the negligent representation would not have occurred, you would have a more favorable outcome in your case. You suffered financial loss as a result of the negligent action. The line between a mistake and malpractice is often unclear. Quickly seeking legal counsel about your case helps determine whether your attorney violated professional standards, and whether you can take legal action to remedy the situation. Attorney Dennis W. Potts has more than 40 years of trial experience and understands how difficult an attorney malpractice case can be for the client. Do not suffer from the unjust actions of an incompetent lawyer during an already stressful time. Call today for a free consultation at (808) 537-4575. Attorney Potts always operates under a “no recovery, no fee” policy.